After Monday’s events, this was our light box message in the kitchen. This week has been dominated by the unspeakable horror of the Manchester terror attack and the sadness it has left. This is the first news event my children have had an understanding of and has led to some honest but difficult conversations. My message has been that sometimes bad, bad things happen but this is really rare and lets not look for the horrible things but all the amazing things humans do for each other. 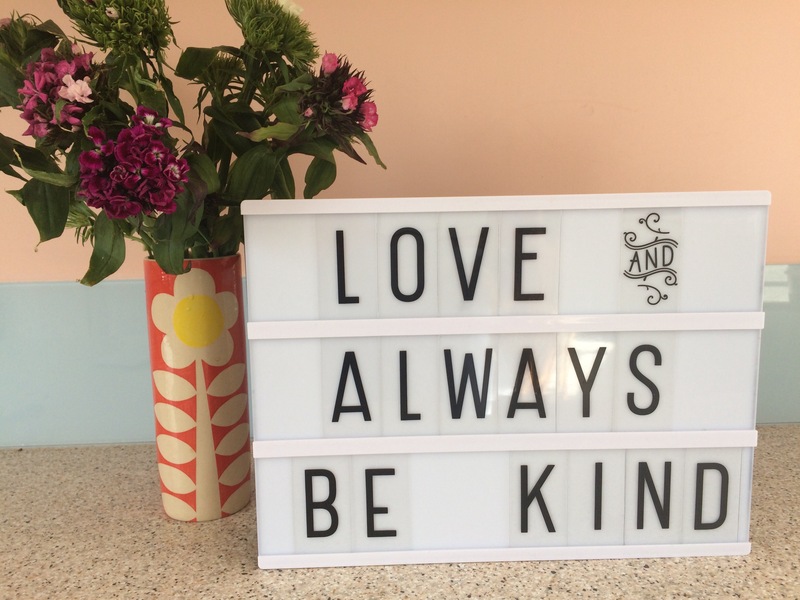 We’ve also talked of showing everyone kindness, love and respect so they feel they belong and are a part of our community, at school, in our neighbourhood, at clubs etc..
I’ve joined in with #littleloves this week to show that even in the darkest of times there is always something to brighten a dark day. Its been very difficult to read much this week as much of my online reading has been around the terror attack. Among all the reading was a piece by Alexis Petridis about the rites of passage of a teenage pop concert, in light of the attack it is a heart breaking but a beautiful read. 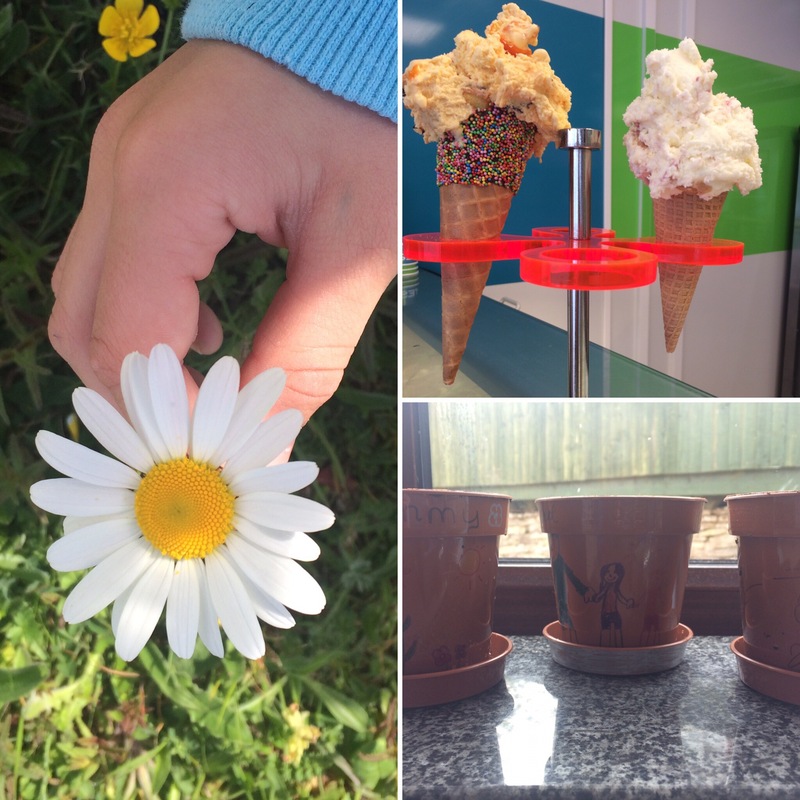 I have watched my children intently this week, just taken by their innocence and how they find joy in simple things, playing with a friend, an ice cream after school, reading a book, planting a sunflower seed. I’m sure we’ve all been giving our children more cuddles and kisses this week, thankful for all we have. With this week’s mini heatwave, I have made a variety of salads for tea. Greek salad is my favourite salad but I experimented with lots other ingredients too, thanks to a visit to the local market for inspiration from the different stalls. I also made lots of plans to meet with friends this week. I work in a SEN school for children with complex needs and as a way of supporting families our holidays are slightly different during the year to make the long summer holiday a little shorter. Thus I’m on a two week half term. Lots of my friends work at the school too so we have met up this week and enjoyed such nice times together in the sunshine. Whilst this was a café terrace, there were pub gardens too this week! I have worn my sundresses this week and love my Boden sunglass print dress, it is so comfortable and has pockets too. 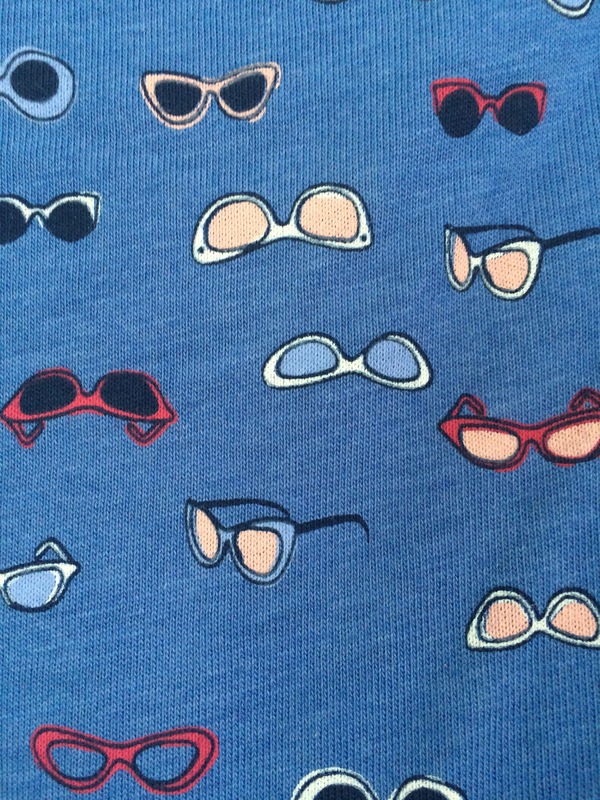 I wear sunglasses a lot to prevent migraines and have so many pairs that this print just seemed really me. I have also worn my new running leggings this week from Decathlon and I think they are the best I have ever had. I normally wear Nike black capris, but spotted these new ones when shopping in Decathlon. The colour and fit are brilliant but my favourite feature are the pockets. There is a key pocket at the back but there are two good sized zip pockets on the legs, one perfect for an iPhone and the other for gels (if you’re a proper runner) or jelly babies (if you’re like me on long runs!) I cannot recommend them enough! Scary selfie – leggings are never flattering but I will never photo shop me. I listened to the Manchester vigil on the radio as I tidied up after dinner on Tuesday and was so moved by the poem ‘ This is the place ..’ Sometimes poetry reaches parts other prose cannot. I have also heard stories of such courage and commitment about our emergency services this week and wanted to share a story which happened in our little town. On Wednesday morning around 2am, I was woken up by the sound of a helicopter. I could hear that it was very close, low and hovering and it stayed in position for a considerable period of time. The helicopter had located a missing woman in the sea and was providing a light and guide for the emergency services and RNLI who were all responding. 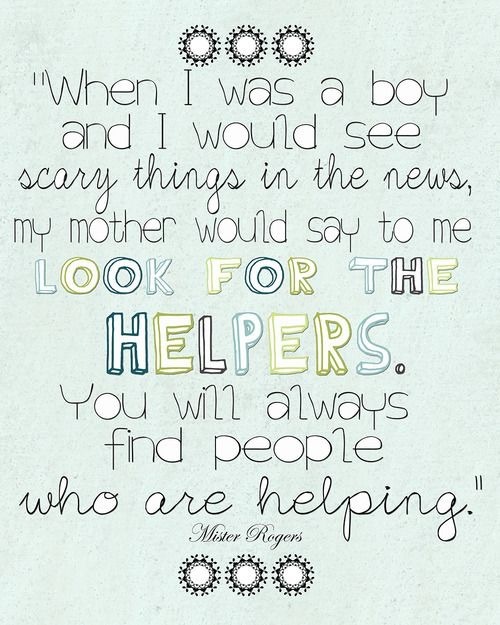 The woman was successfully rescued alive with some injuries but again it highlights the amazing work and bravery of our emergency services, in a difficult week its always worth remembering Rogers’ quote of always looking for the helpers. Its now half term for all of us, we normally go away this week but this year we’ll be based at home with a few trips planned. It is one of the busiest weekends of the year in town so we will stay very local to not get caught in bank holiday traffic jams. As locals, we know the quieter beaches to enjoy and hope to spend some sunny days simply playing on the beach. That quote and the poem are great. It has been a tough week. My children are too young to have noticed but i dread the day i have to explain anything like this to them. It was so sad having to explain the news but once they had asked I felt it important to explain as carefully as I could. I went on the Newsround page on the BBC and it was really helpful. Best to hear from us rather than playground whispers.